Friday, March 26, 5-7 p.m. If you are passionate about Eastern Spiritual Approaches, Integral Theory or Evolutionary Philosophy, you are probably a Romantic. 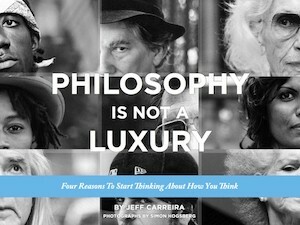 In this talk, EnlightenNext Director of Education Jeff Carreira will outline the exciting story of a view of reality that is probably central to your own thinking even if you don’t realize it. In the 18th century German Idealists and English Romantic Poets became convinced that the universe is not a mechanism like a clock, but is actually a dynamic evolving organic whole system. The Romantics understood that human consciousness was part of the fabric of the universe and the expansion of consciousness was part of the universe’s evolution. This explosive idea came to American and formed the foundations of the American Transcendentalism of the 18th century, the American Pragmatism of the 19th Century, and the Beat Movement, 1960’s Counter Culture and East/West Spirituality of the 20th Century. Join Jeff Carreira and Consciousness Club for this fascinating tour through the historical development of your own mind. As the story of American Romanticism unfolds you will find answers to questions you didn’t even know you had. Sometimes our interest in alternative ideas seems out of step with the rest of our culture, but when seen in a historical context these ideas become part of a rich and valuable tradition of American thought. Seeing this context will strengthen your understanding, conviction and confidence in the ideas and attitudes that you are already passionate about.